The 24-year-old British actor – who is dating his 'Twilight Saga' co-star Kristen Stewart - mostly lives in hotels, and though he has a desire to settle down in one place, he thinks his work means it is not the right time to do so just yet. He said: "I came close to buying a house in Los Angeles but 20 minutes from signing the contract I freaked out. "So I don't own a house or have a home. It can drive you a bit crazy not having any kind of anchor. Hopefully it will settle down some time soon but for the next few years I'm going to be filming all over the place." In order to feel more stable, Robert adopted Bear, a German shepherd-pitbull crossbreed puppy. He explained to Britain's Elle magazine: "I thought I would get a dog. Then wherever the dog was would kind of be my home. "Bear was two days from euthanasia. We thought he was traumatised by his near-death experience." 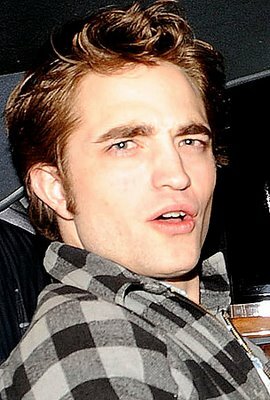 The 'Water for Elephants' star admits one of the benefits of his success is being able to care for his pet properly. Asked about his biggest extravagance, he said: "It sounds ridiculous but my dog was sick with a puppy disease called parvo and it was such a relief being able to go into the vet and say, 'I want the best, immediately.' "